Paige's Page: Picture Pets- Winners!! First off I would like to say Congratulations to everyone!! Out of almost 200 entries the judges have chosen your winners!!! 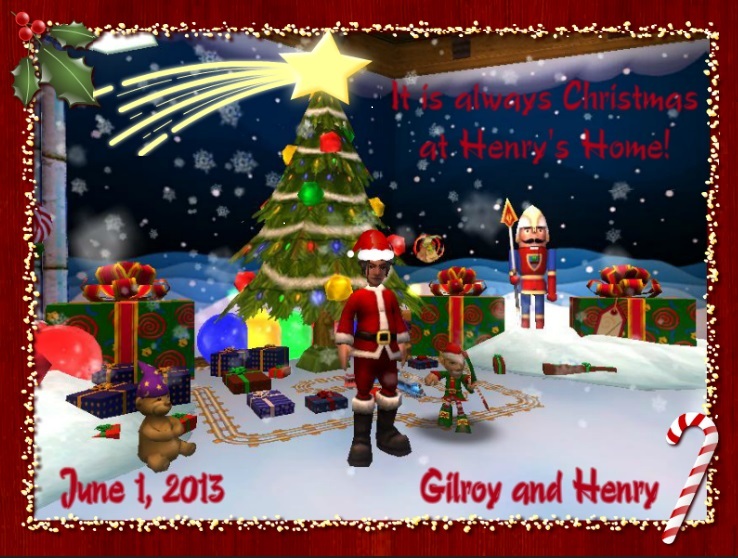 Christmas in June at Henry's Home! My wizard name is Gilroy and my favorite pet is Henry. The tradition of Christmas isn't something you think about much during the summertime. 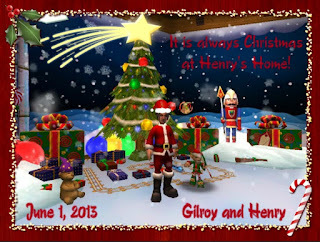 However, in Henry's world he has been preparing for Christmas all year long. It is his perspective that you need to see, hear, and feel Christmas as you work making toys and gifts for the next holiday season. 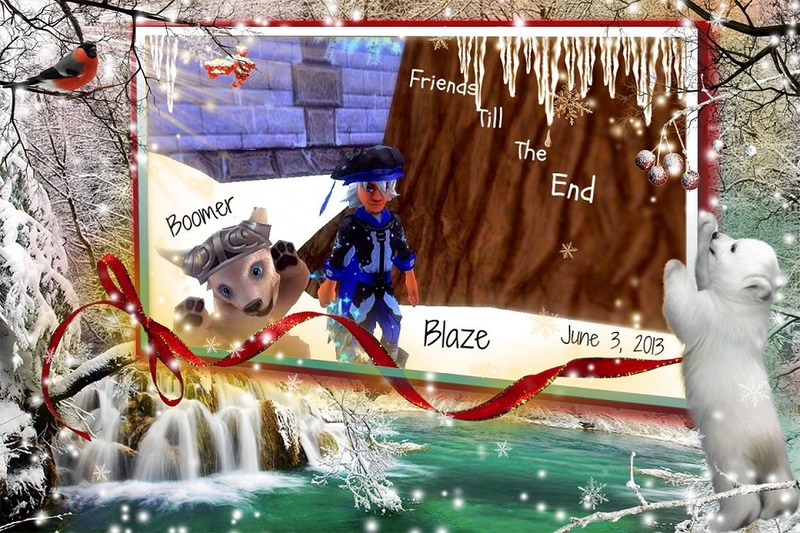 So when I go over to my favorite pet's home I deck myself out in my Santa's suite and join in the fun. We listen to a few Christmas tunes and have a merry good time. Every time I visit him it reminds me that Christmas is not just for December but should be celebrated all year round. My wizard name is Destiny Wild and my pet is Teddy a Polar Bear Cub. It was a dream come true for a hopeful young wizard who was looking for a new best friend. After the hatch I wondered if it really could be that I had just received the new Polar Bear Cub. I had to wait 5 very long minutes to learn that in fact I had. I was so excited I took off to the Dye Shop in search of the prefect name … then it struck me there was only one name for him and it was Teddy. He is happy to go everywhere with me and is the most loyal companion. Nothing will induce him to leave my side. Simply put, I love Teddy! He is certainly a true and faithful friend. It is only right to call him this wizard's best friend. 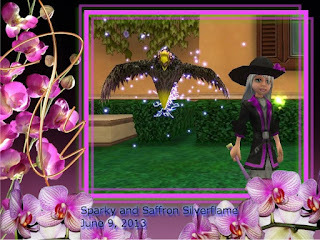 Being a life wizard, I personally prefer life pet and the release of new Olympian Bundle with Trojan Horse just makes everything perfectly fit in my "life-code". 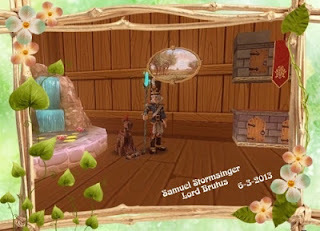 I Found this little fellow in Wizard City, Seemed he was lost and hasn't gotten any parents around...I decided to take him in , seemed like he had been through a lot since his little hat was broken. In battles he has gained this special talent to heal me.... and it is AMAZING! Since then I have loved and cared for this little guy and we are like best friends. We will never grow apart. Lady Gus is my companion in battle wherever my Thaumaturge goes . She travels the spiral with me, helping to defeat mighty foes ranging from lost souls to the evil necromancer Malistaire . Together, we've saved the spiral on multiple occasions (it's become sort of a routine thing now) and are always seeking out danger where ever it might be . When we're not saving the spiral, she likes to fly around my Mooshu palace and admire the Mooshu skies . She swears to me that she sees legendary pirates roaming the skies, seeking out treasure and some sort of map… I think she's just had too many mystic dragon fruit. Sparky is my favorite pet and very special to me for many reasons. 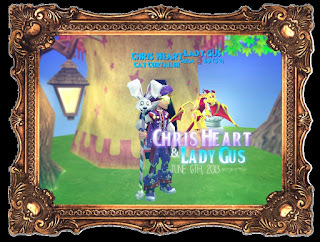 He was my first hatch I ever did, with the aid of my best bud and questing partner. He is also my first and only pet that I got to mega. He has been with me since the end of Dragonspyre and loves questing by my side, I would not have been able to get though Avalon or Azteca without him. Many have suggested that I improve his stats and abilities but I am happy and love him just the way he is and can't imagine having any other kind of pet by my side. No luck for me again... :/ Congrats to anyone that won. YAY I WON!THX PAIGE,YOUR AWESOME! All prizes were sent via entry email. I would like to state that all these wizards are very talented. I don't know how they did all this but they did a great job. Just wanted to let them know how good they did. New Golem Mount and Pet!